The Haberdashers’ Monmouth Schools are a family of leading independent schools situated in an area of Outstanding Natural Beauty, with fantastic facilities, epic buildings and outdoor sports grounds, which will be utilised for children attending summer camp with us. Monmouth School was founded in 1614. 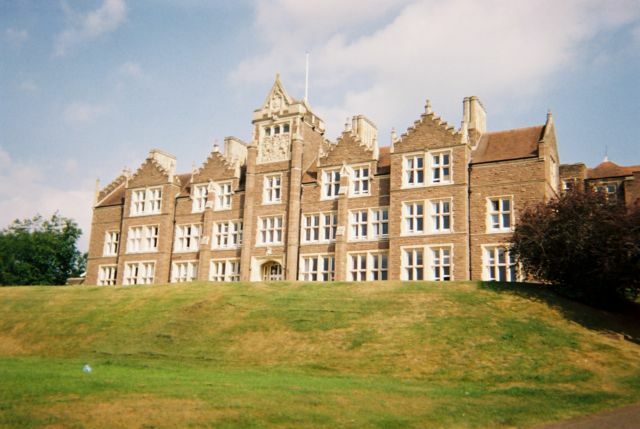 The school is one of Wales’ top performing independent schools and ranked second in the country in 2010. Set in the beautiful Wye Valley in Wales, the family of schools encourages pupils to aim high in every aspect of their lives and grow up to become the best possible versions of themselves. Monmouth was listed in the Sunday Times as the third best place to live in Britain. The Monmouth School Sports Club has fantastic facilities for local children joining us on camp, with a relaxed family atmosphere. Their 25m swimming pool is great for our engaging pool games. The sports hall is equipped for almost every indoor sports activity and there’s a fitness suite for smaller groups. The outdoor facilities include tennis courts, golf practice area, all-weather floodlit pitch and cricket nets. The sports area is set within its own grounds, with ample parking for parents joining us during the school holidays.